Take a trip back in time, and listen to some of the work of Ron Klaren. 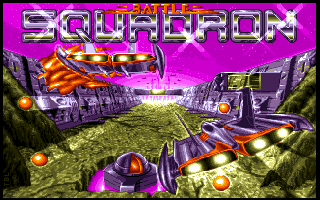 The successor to Hybris, is called Battle Squadron. Another shoot ’em up game with great graphics and even greater music by Ron Klaren from Holland. When I originally made this post, I completely ignored the music from the game itself, which is at least as good as the title music – but it is now added and I apologize to those who had noticed this. Game music from Battle Squadron. Game was made by Cope-Com and released in 1989 by Electronic Zoo. This entry was posted in game and tagged battle squadron, cope-com, electronic zoo, hybris, music amiga, ron klaren by Thomas. Bookmark the permalink.